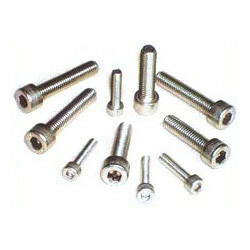 Standard and custom manufactured socket head cap screws. Sigma distributes quality fasteners – socket head cap screws, metric socket screws, flat head socket screws or button head socket screws. Also known as Allen head cap screws. If you specification requires a modified or custom socket head cap screw Sigma will deliver. Available coated, plated and plain.